11 Pound Bull Frog Caught In Louisiana? 11 Lbs? Seriously? Did an 11 pound (lbs) bull frog really get caught in Louisiana? Do frogs in that area even get that big? 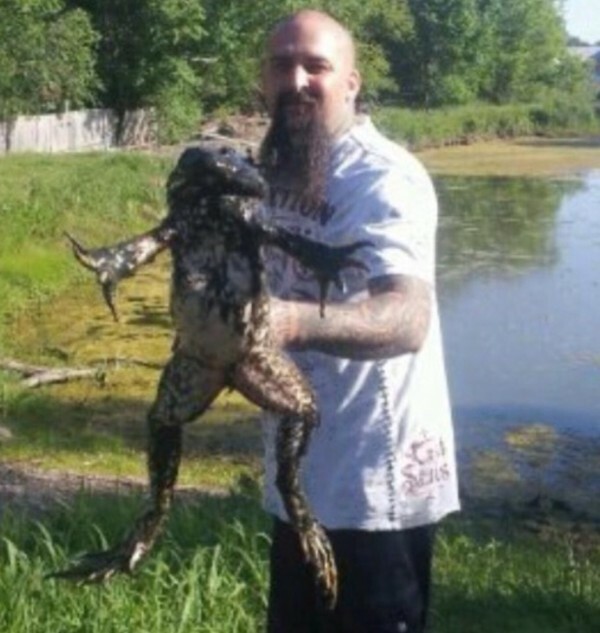 Is the viral image purporting to show the 11 pound frog real, or a trick? All of these questions and more will be answered in this article — though you may not necessarily like the answers… Enjoy. 11 pound bullfrog caught in a ditch near Sulphur, LA WOW! To start off — the image is indeed real and unaltered, but, it is misleading owing to the fact that angle that it’s taken at hides the “stick” that the bull frog is pierced with. The frog in the image is actually notably closer to the camera than the human is. Next up — while there’s always some variety with regard to how big various animals grow to, the largest frog species in the region are known to “only” grow to be 1.5-2 lbs. While its certainly possible for a freak individual to get larger than that, I can’t imagine one growing to be 5 times heavier than the heaviest known (well, scientifically verified anyways…) individuals to date. On that note though, there are a number of very large frog species in Africa, Asia, and South America, that do get heavier than 2 lbs. 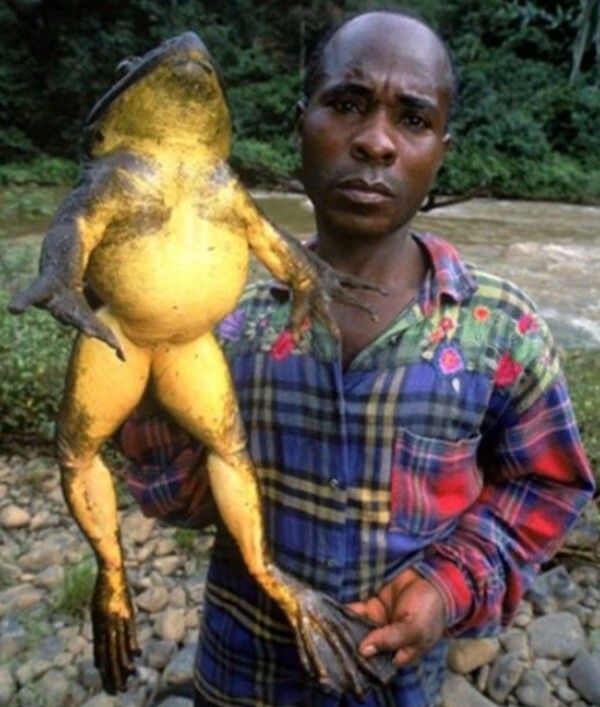 The heaviest of which — the Goliath frogs of West Africa — can grow to be as heavy as 7 lbs in weight. So quite heavy, but still not as heavy as the viral meme claims the bullfrog at the top is. Worth noting here is the fact that that frog, the Goliath frog, is actually highly endangered now — and may very well be extinct within the next few decades.